Coldspring Man Hospitalized in Motorcycle Accident, LIVINGSTON, November 27, 2009 - At 10:57 am on November 27, 2009, a black Honda motorcycle driven by Phillip Burr, 60, of Coldspring was west-bound on US=190 West in front of Wal-Mart when a dark green Subaru Legacy Wagon driven by Thomas Brakel, 87, of Livingston attempted to turn into the Wal-Mart Parking lot from the east-bound lanes of 190 (but failed to yield right-of-way to oncoming traffic). Brakel pulled directly in front of Burr's motorcycle. 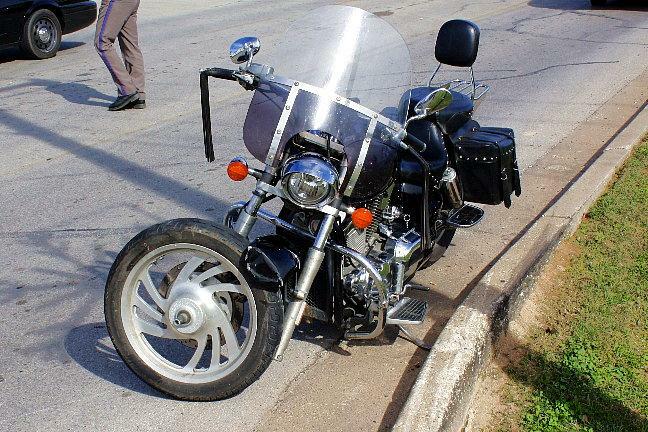 Burr's motorcycle hit the rear passenger's side of Brakel's vehicle. Burr was thrown from his motorcycle. Americare Ambulance Service was dispatched to the scene along with Livingston Fire Chief Corky Cochran, DPS Trooper Kevin Burman and Livingston Police Officer Rob Atkins. Personnel from Americare tended to Burr who was loaded into an ambulance and transported to Livingston Memorial Hospital with un-disclosed injuries. Traffic on 190 was not blocked during investigation and clean up. Both parties had insurance. 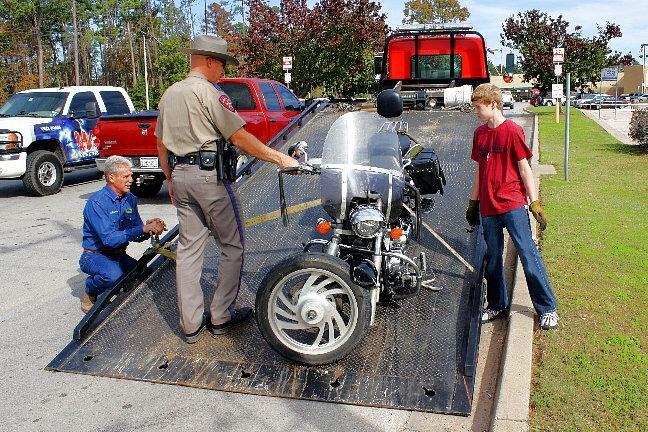 A rollback wrecker from LakeView Wrecker Service recovered Burr's motorcycle. Brakel's vehicle was still drivable. The scene was cleared by 11:40 am. Only five days earlier on November 22, a two vehicle accident occurred in the same spot under the same situation. Phillip Burr's motorcycle sustained front end damage. 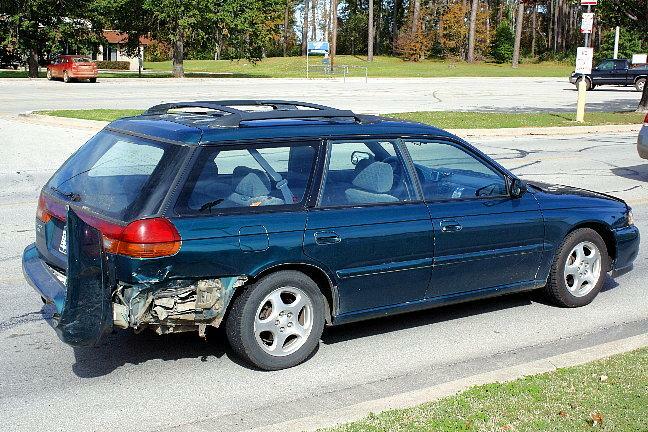 Thomas Brakel's 1995 Subaru sustained damage to the rear body. 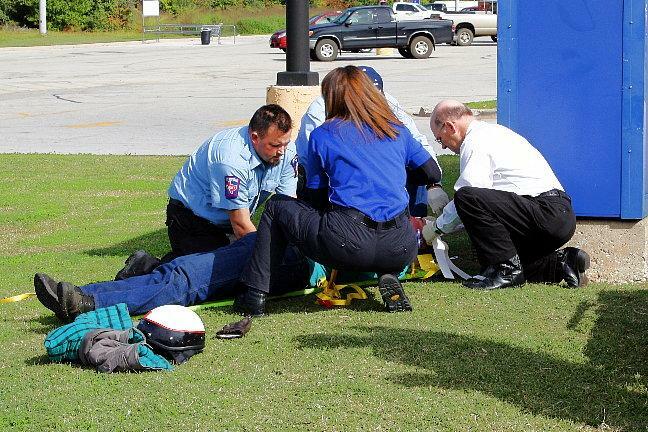 EMS personnel tend to Phillip Burr of Coldspring. 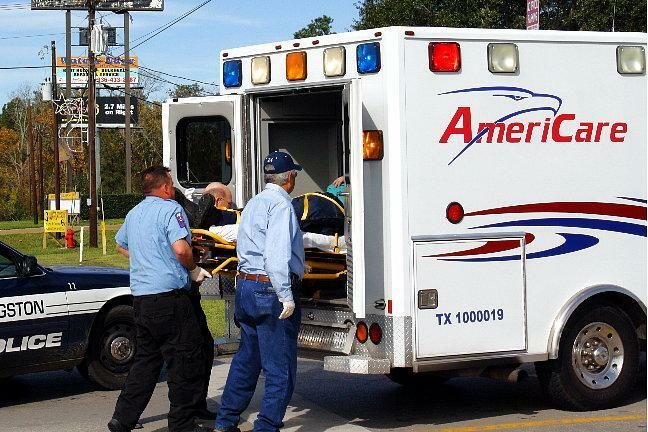 Burr was transported by ambulance to Livingston Memorial Hospital. LakeView wrecker service recovered Burr's motorcycle.